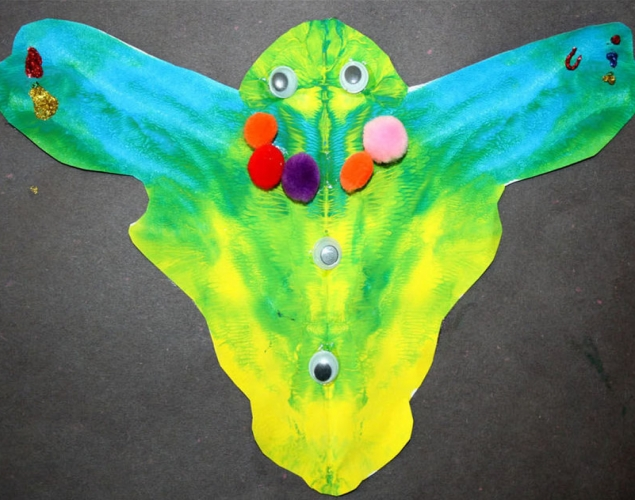 Students create imaginary fall birds using 2 primary colours of Model Magic that they mix to make secondary colours. They add details to their birds using natural objects such as pine cones and leaves that they have gathered, sorted and classified. Sort all the objects into separate piles. - How big are they? - What do they feel like? - What do they smell like? - What sounds do they make when you move them? Choose 2 primary colours of Model Magic. Use a small ball of each colour. Make 2 feet for your bird. Use 1 primary colour for one foot. Use a different primary colour for the other foot. Use 2 big balls of each colour of Model Magic. Mix the colours together to get a new colour. Use the new colour to make the body of your bird. 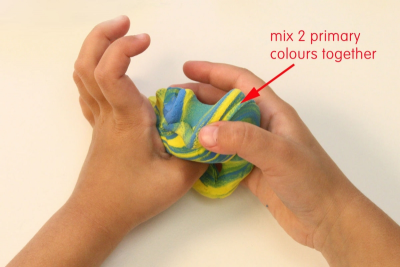 Roll a small ball of 1 primary colour of Model Magic. Roll a smaller ball of a different colour Model Magic. Place the smaller Model Magic ball on top of the first ball. 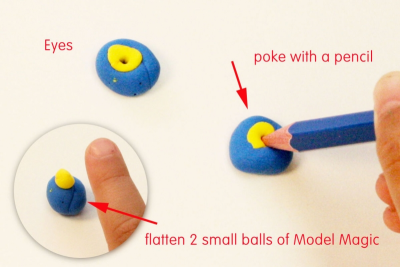 Poke the centre with a pencil. Press the eyes onto the face of your bird. Use the rest of the Model Magic and the natural objects to add details to your bird. Use your own ideas to make your bird special. demonstrate a sense of accomplishment. 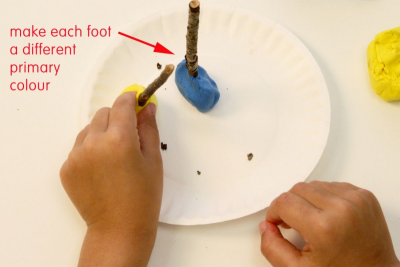 apply what they learned about Model Magic to make puppets using the Stick Puppet lesson plan available on this website. If possible take your class on a nature walk to observe signs of fall and gather natural objects such as leaves, twigs, pebbles, and pine cones. Gather and make available, books about birds and signs of fall such as, Birds, Nests, And Eggs, by Mel Boring; Fall Mixed Up, by Robert Raczka, and Chad Cameron; Leaf Man, by Lois Ehlert; Look What I Did with a Leaf!, by Morteza E. Sohi; National Geographic Kids Bird Guide of North America: The Best Birding Book for Kids from National Geographic's Bird Experts, by Jonathan Alderfer; The Listening Walk, by Paul Showers, and Aliki; Math Counts (Updated Edition): Sorting, by Henry Arthur Pluckrose; and If You Find a Rock, by Peggy Christian, and Barbara Hirsch Lember. Set up an art centre with Model Magic, pencils and paper plates to place the sculptures on. Set up a sorting table with all the found natural objects and small containers to place the objects in. Discuss the objects they found on their nature walk. Conduct a read-aloud with a book such as Birds, Nests, And Eggs, by Mel Boring. Focus on the characteristics of birds and make connections to birds they have seen in their neighbourhood. 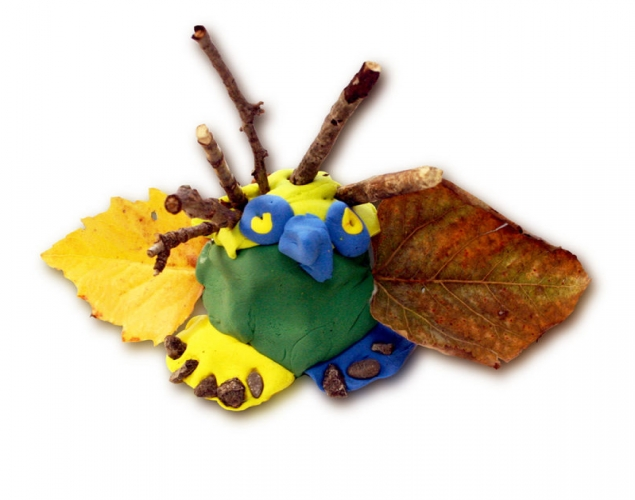 Use the Model Magic to create a bird sculpture. 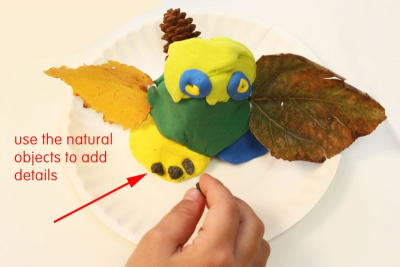 Use natural objects to add details to your sculpture. Make your sculpture in your own creative and unique way. Explain how you made your artwork. Ensure that students understand the challenge. Guide students through the steps outlined in the lesson plan. Display all the artworks in the classroom. 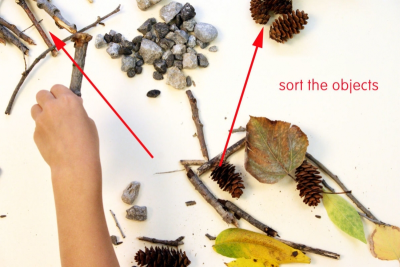 Encourage students to view the artworks and notice how they used the Model Magic and natural objects in different ways. Observe students as they discuss their artworks – speaks with a clear voice, looks at audience while speaking, holds artwork to the side, provides accurate information, answers questions from the audience effectively. Observe students as they listen – looks at presenter, asks effective questions, supports ideas with evidence found in the artwork.